Against the backdrop of rising Chinese assertiveness in the Indo-Pacific space, France and Australia have made it clear that no single country can be allowed to dominate the region and sought India’s cooperation in this regard. Blending cricket, curry and commerce, India and Australia have imparted an added traction to their growing strategic partnership by signing six pacts, including a crucial agreement to expand counter-terror cooperation, and agreed to revive stalled negotiations on a liberalized bilateral trade deal. 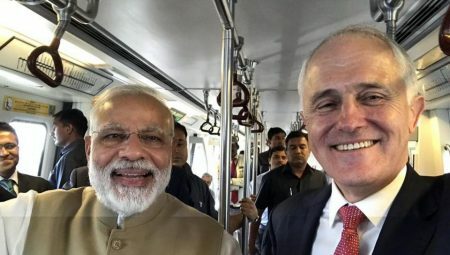 The talks between India’s Prime Minister Narendra Modi and his Australian counterpart Malcolm Turnbull in New Delhi on April 10 have placed the relations between Australia and the world’s fastest growing major economy on a higher footing. Intensifying counter-terror cooperation topped the agenda. The two leaders said at a joint media appearance that the fight against terrorists, terror organisations and networks should identify, hold accountable and take strong measures against those who encourage, support and finance terror, provide sanctuary to terrorists and terror groups, and falsely extol their virtues. On the Comprehensive Economic Cooperation Agreement (CECA), Mr Turnbull said that “we had a very good discussion on the issue” but acknowledged that progress has not been as fast as either of us would have liked.” Under the circumstances, all that the two PMs could do was to ask negotiators on both sides to resume the talks soon and find a way out and list their priorities soon so that talks can move forward, amidst concerns in India over allowing farm exports from Australia and access to skilled workers to Down Under. 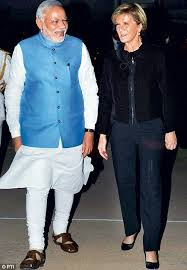 Mr Modi thanked his Australian guest for the passage of a legislation by Australian parliament with bi-partisan support paving way for the country to export uranium to India. Mr Turnbull, on his part, said he was looking forward to starting the supply “as soon as possible”. 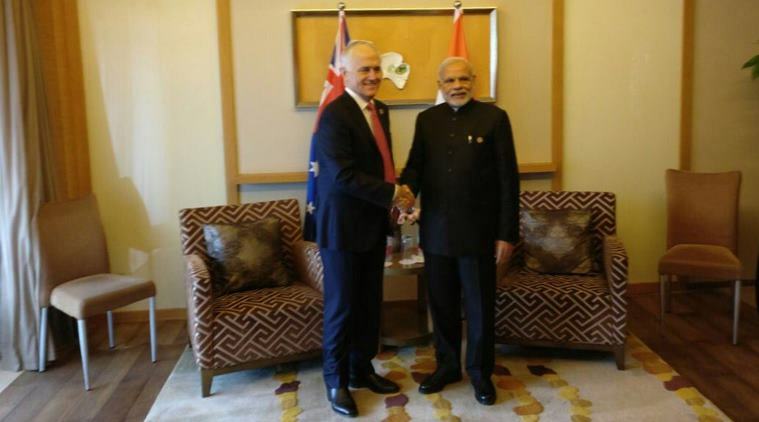 Acting East with renewed zeal, India is set to deepen its strategic and economic ties with Australia, a G20 economy and a strategic partner, during Prime Minister Malcolm Turnbull’s maiden visit to New Delhi. The major takeaways from Mr Turnbull’s April 9-12 visit are expected to be in realms of enhanced security cooperation and intensified collaboration in education and skills-building between the two countries. The strategic importance of India and Australia for each other is growing amid the evolving geo-political landscape in the Asia-Pacific region. 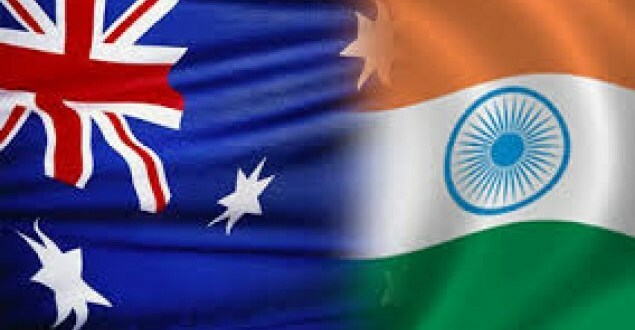 The Australian government has identified India among the top five priority relationships and New Delhi sees Canberra as a key strategic partner in the region. Civil nuclear cooperation is poised to register progress, with both sides looking to finalise commercial negotiations for the first shipment of uranium from Australia to India this year. With the Indian Ocean emerging as a zone of contention and rivalry between major players in the region, including India and China, New Delhi and Canberra are expected to focus on increased collaboration in the strategically located region. The two countries are also expected to upscale their cooperation in counter-terrorism and counter-radicalisation. Australia is poised to become an important partner of India in its development agenda, with the two countries expected to sign pacts on education and skill development. 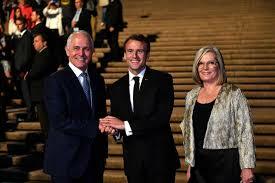 The focus on the training partnership is evident in the composition of the Australian leader’s delegation, which includes nearly half of Australia’s universities. As India’s relations with Australia move to the next high-growth phase, Canberra has announced the appointment of Indian-origin diplomat Harinder Sidhu as the country’s next High Commissioner to India. It’s fitting that an Indian-origin diplomat is being sent to New Delhi to shepherd burgeoning bilateral ties when the two countries are in the process of implementing an ambitious multi-pronged agenda laid down during Prime Minister Narendra Modi’s visit to Australia in November 2014. The Indo-Pacific bonding between New Delhi and Canberra is set to get stronger amid China’s assertive posturing in the region during Defence Minister Kevin Andrews’ ongoing visit to India which will focus on bolstering security ties between the two countries. Mr Andrews’ visit to India comes ahead of AUSINDEX, the first-ever joint maritime exercise to be held between India and Australia in mid-September. The joint naval exercise between both countries will be held at the Visakhapatnam port in the Bay of Bengal. In a column for the Hindu, Mr Andrews spoke about how India is an important player and a key partner in the Indo-Pacific region. Speaking about the relation between the two countries, he said as emerging powers both countries would seek to advance their own interests, while they would cooperate in some areas they would also compete in the other areas. 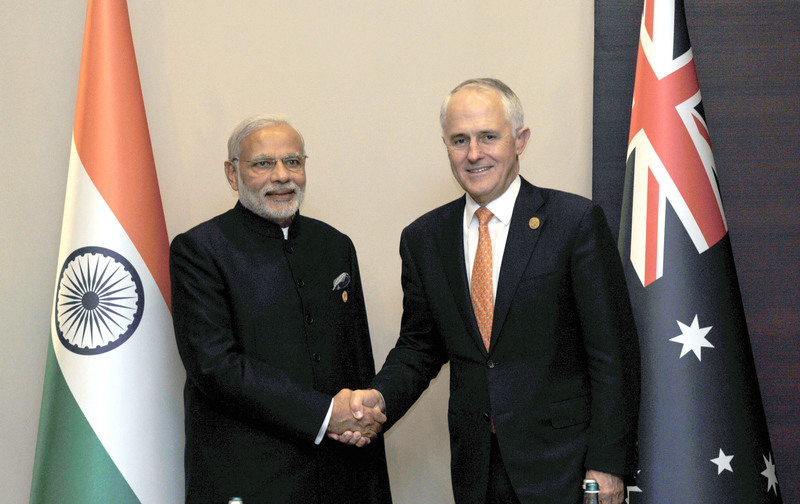 Why India- Australia Free Trade Agreement Matters?